Child care, education, games, safety Childcare: How to promote Language development? How to promote Language development? The task of learning language is an extremely complex one and takes time. At one years of age children children are able to say their first word, and by four years they learn to speak clearly. Identify a word from a speech stream. Remember what the word sounds like, so they can recognise them again. Link the word with some consistent event, for example notice that when the word "car" is sad, a vehicle appears. Physically train the vocal cords, tongue and lips to produce the correct sound. Say the word in an appropriate context. This learning progress begins at birth, and in cases when parents speak more languages children will be able to learn 2 or more language parallel. 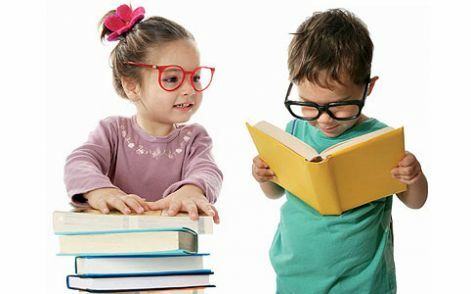 Children who are learning more than one language at a time tend to be slightly slower in learning to talk and communicate. It is thought this is because children are trying to absorb more than one language system. This early delay in language development does not effect a child's overall language development, provided they are given adequate support. Speaking another language is part of a child's self identify. Reading and writing: Being able to read and write is essential, and most children learn it after they mastered the spoken word. Children who start school with good language skills learn how to read and write quicker. Listening: Another important skill to master. To listen means to take note of another persons communication. Sign Language: Signing is used with children who have difficulty with the spoken word. As a language signing is not as versatile as other languages as vocabulary is quite limited. Here facial expression and gesture play important role. Facial expression and gesture: Children need to learn others facial expression and gesture in order to communicate effectively. Children who are exposed to more than one cultural, need to learn that facial expression and gestures are not universal. Use real language, not speak as "baby talk"
In overall during play or art activities or just in your daily routine talk to your child and explain everything you do.